PCB has planned to host eight matches of the PSL in Pakistan this season. The fourth season of the Pakistan Super League (PSL) is a huge step towards the return of international cricket to Pakistan. After having hosted the playoffs at home last season, they will play eight matches this season. 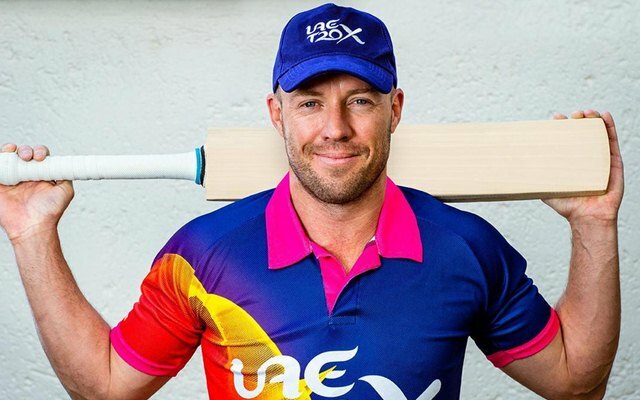 PCB has been trying to ensure most if not all the overseas players turn up for the Pakistan leg and the initiative got a huge boost as former South African cricketer AB de Villiers has agreed to play there. The upcoming edition of the PSL will get underway on February 14 in the UAE and the final will be played on March 17 in Karachi. De Villiers confirmed that he will take the field for the Lahore Qalandars at the iconic Gaddafi Stadium in Lahore for both their home games to be played on March 9 and 10. This will be the first time since 2007 when AB travels to Pakistan when the South African team toured the country. “I am delighted to confirm that I will represent Lahore Qalandars in front of our home crowds on 9 and 10 March, during the HBL PSL 2019,” de Villiers, announced as per PSL-t20.com. “I look forward to revisiting the Gaddafi Stadium and aim to play my part in helping Lahore Qalandars achieve something they have been aspiring for since the inception of this tournament in 2016,” he added. Lahore will initiate their campaign against defending champions Islamabad United on March 9 in Dubai and take on Multan Sultans on the next day. He is not the first South African international to be playing in Pakistan though. Earlier, national team skipper Faf du Plessis led the World XI side in the three-match T20I series against the hosts in Lahore. The team also had the likes of Hashim Amla, David Miller, Morne Morkel and Imran Tahir. “Due to prior family commitments, I will only be available till the last group stage game. I want to thank Lahore Qalandars for giving me an opportunity to represent them and I look forward to not only enjoying my time in the HBL PSL 2019 but also contributing in making it a stronger brand,” de Villiers said. Lahore Qalandars’ owner Mr Fawad Rana was happy at the occasion and said: “There can’t be a bigger and better news for Pakistan cricket fans and the HBL PSL 2019 on the day we are celebrating ‘one month to go’ that AB de Villiers has confirmed his availability for the two Lahore matches. PCB Chairman Mr Ehsan Mani said: “We appreciate the decision of AB de Villiers and look forward to welcoming him to the home of Pakistan cricket. I am sure de Villiers’s appearance will attract new fans, and more eyeballs will follow the HBL PSL than ever before. Lahore Qalandars captain Mohammad Hafeez said: “De Villiers is one of the most respected cricketers in the world. He is a proven performer, who has added new dimensions to batting in white-ball cricket. “This will again be an opportunity for the Lahore crowds to show their passion, respect, love and hospitality, and I am confident that AB will take home memories which will bring him back again and again to this beautiful piece of land,” he stated. Get the latest Cricket News and updates from Pakistan Super League, Match Predictions, Fantasy Cricket Tips and lots more on CricTracker.com.